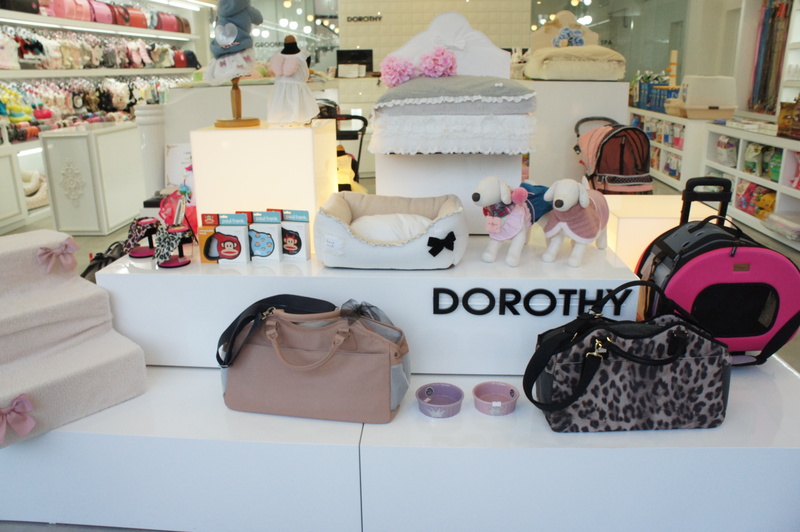 Tucked away down one of the many streets of 홍대 (Hongdae), I found Dorothy Grooming and Spa. For those of you who love to pamper you pet the way I do, you’ll absolutely fall in love with this elegant shop! 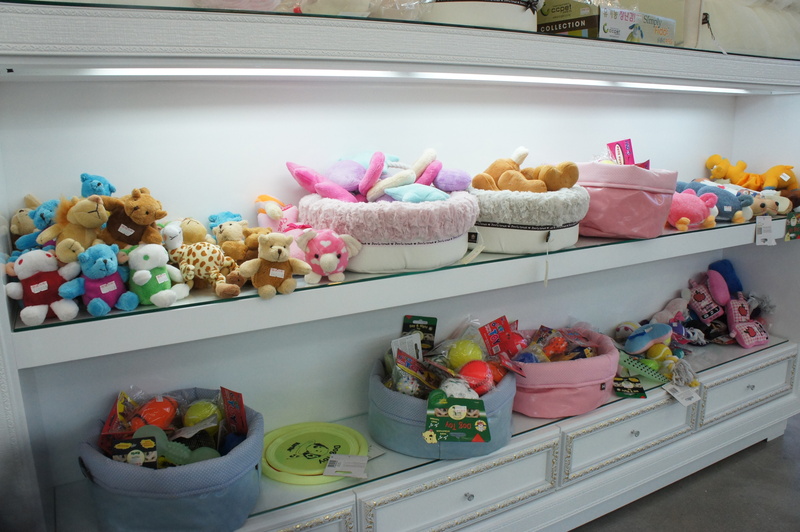 Here you can find all your high quality pet essentials from ruffle detailed clothes and rhinestone studded collars to elegant beds and handmade toys. You can also find a variety of care supplies and treats. It really is a one stop shop for all your pampered pet’s needs. The reason why I emphasize “pampered” is because this is not exactly a place for the light walleted. Many of the items at this lovely boutique start at ₩40,000 and run well into the 100,000s. This isn’t to say that there is nothing for the cautious spender. There are many hair clips, toys, and snacks well below ₩10,000. They also have the occasional off season sales where you can get some great outfits for under ₩25,000. While this store mainly caters to dogs, you can find a few novelty items that can be worn by cats as well. Having very recently moved to a larger location, it’s so hard not to get wrapped up in the elegant pet ambiance of this pastel, glass and marble palace. If you are unsure about purchasing clothes for your puppy, why not bring him in with you? The staff is supper helpful and there are special dressing stations where they will outfit your dog in the potential purchase. I found this particularly helpful since sizes can vary according to style and sometimes your pet could feel uncomfortable in certain things. That’s how I found out my little 우유 (uyu=milk) doesn’t exactly appreciate overalls. In the case that you can’t bring fluffy along, you can always get idea of what to buy from the adorable Maltese’s owned buy the store who are always modeling the latest fashion. If you don’t mind being the occasional big spender, and do decided to buy an outfit, your pet will receive a complimentary mini photo shoot. Depending on how much you spend, your pets photo will be posted on their website where you can download it or they will give you a printed Polaroid. Needless to say, I have made quite a few purchase for my adorable pooch. In addition to the store aspects they also have a grooming station for haircuts, baths and fur dying and a spa for hotel purposes. While I haven’t ventured down those roads… I’ll be sure to update this entry when I do. So, if you’re living in or visiting Korea and want to give your pet the “gangnam style” treatment, you should definitely check this place out. You can also check out their website for more info if you know Korean or just want to ogle the cute puppies. Happy Shopping!!! 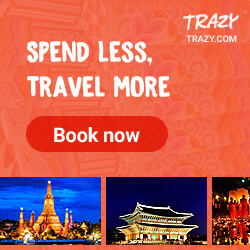 Tags: Culture, Dog Clothes, Dorothy, Hongdae, 홍대, Korea, Korean Dogs, Maltese, Pet Boutiques, Pet Grooming in Korea, Photography, Puppy Fashion, Seoul, South Korea, things to do in Korea, travel, Traveling in Korea. Bookmark the permalink.